Whether you're lighting the dancefloor in a club, or hotspots on a stage, PAR64 lamps give excellent long-range projection for high-detail and beam control. PAR64 reflector bulbs are excellent lamps with native spotlighting due to their reflector shape and can immediately re-strike after a power interruption. The selection of PAR64 bulbs at 1000Bulbs.com is unmatched for online retailers, 500- or 1000-watt options in incandescent or halogen. As with any of our lights, if you have any questions, feel free to contact our expert team of lighting representatives, we'd be glad to help you find what you need. 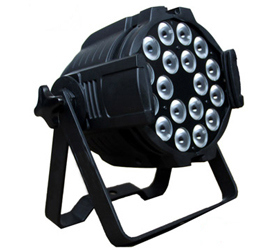 This is most used light in event industry around globe.